We live in a time of unprecedented change, a time of collapse and potential renewal. The world as we have known it is ending. What is the new pattern, the new story? Although politically, economically, and environmentally we are in a crisis of global proportions, the Academy of Imaginal Studies is devoted to the contemplation of our spiritual crisis and the next step in earth/human evolution. The intention of these gatherings is to engage the soul via the creative imagination. The Academy of Imaginal Studies is a contemporary version of Ficino’s Platonic Academy in Renaissance Florence. His academy was a circle of friends inspired by the ancient perennial philosophy and hermetic traditions. Ficino’s cosmology was based on the idea of a world soul that linked the divine, angelic orders, planets, and the elements to animals, plants, and minerals. The human soul as a spark of the divine could reach out and embrace all things in the cosmos through reflective thought, meditation, and especially love, forming the link between world soul and human soul, above and below. Ficino’s contemplative perspective awakens the soul to direct knowledge and a vision of the mysteries. It is part of the Western esoteric tradition which continues in our time with Jung’s initiatory psychology that begins with an inner focus and extends to a new vision of humankind’s place in nature and the cosmos. 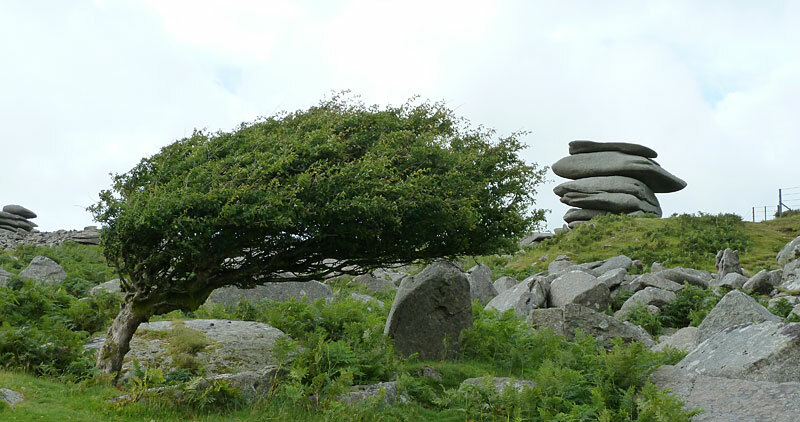 Field theories in contemporary science also offer a vision of universal interconnectedness, which mirrors the ancient idea of correspondence. In addition, divination techniques including archetypal astrology, Tarot and I Ching, together with explorations into non-ordinary psychic states, exceptional human experiences, and dream work are part of a new emerging esoteric spirituality that aims to reunite the human soul with nature and the cosmos once more. The Academy of Imaginal Studies also draws on the field of Imaginal Psychology, which is a special branch within Depth Psychology that honors philosopher and theologian Henri Corbin’s explorations into 12th century Persian Sufi Gnostic illuminative traditions. Drawing too on the work of C. G. Jung, the knowledge domains of Imaginal Psychology extend to include mystical philosophy and alchemy; shamanic and indigenous wisdom; spiritual and visionary traditions; literary and poetic imagination; deep ecology; creative arts; authentic movement and dance; music; extraordinary experiences and consciousness studies. Engagement with these domains fosters self-awareness, responsiveness toward others, and care for the soul, enabling us to heal, to create, and to participate in re-imagining culture, no matter what our ‘work’ or ‘calling.’ Attention to these traditions also awakens the ancient resource of wisdom within the individual, between people, in social institutions, and globally throughout our planet. The programs and workshops hosted by the Academy of Imaginal Studies are envisioned as a transformative learning environment. They are designed in particular for the adult learner. Knowledge and experience of depth psychology is helpful but not required. Our programs are appropriate for those who are interested in deepening their personal and professional lives by attending to the promptings of soul and the creative imagination. Veronica Goodchild, PhD, has been a core faculty member at Pacifica Graduate Institute for 14 years, and a Jungian psychotherapist for over 30 years. She has taught courses on Jungian Psychotherapy, Alchemy, Imaginal Psychology, The Grail Myth, and Soulful Research. She has lectured and given workshops on these themes both in America and in Europe. She has written numerous book chapters and journal articles in these areas. Her first book, Eros and Chaos: The Sacred Mysteries and Dark Shadows of Love, was published in 2001 by Nicolas-Hays, and republished in 2008. 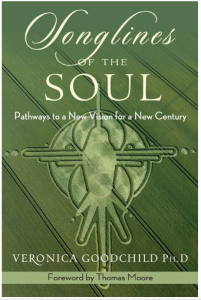 Her most recent book, published by Nicolas-Hays in October 2012 is titled: Songlines of the Soul: Pathways to a New Vision for a New Century. This book outlines the features and signatures of a new emerging myth that unites psyche and matter and brings the subtle body and imaginal worlds into prominence. Individual synchronicities, and the collective expressions of synchronicity in UFO, Crop Circle, and NDE phenomena are valued as varying degrees of expressions of the subtle world that balance symbolic thinking with eros consciousness or awareness. The book also explores the mystical cities of the soul re-visioning healing beyond individuation by recovering ancient incubation practices based on the Asklepeia and water/spa cures. Through morning dream work and daily experiential workshops, evenings of film and performance art, and moments of revelry, ritual and relationship, we will stir and engage the creative imagination in order to discover, strengthen and re-member our vision for this extraordinary and critical time of ‘course correction’ in history as we approach the shift in consciousness taking place globally on our planet. Each day will be devoted to one of the Muses (daughters of Uranus and Gaia, or alternatively, Zeus and Mnemosyne/‘Memory’) in order to call upon our deepest inspiration so that we can find the voice of our soul’s true calling. The Opening Ritual on the first evening will include a welcoming ceremony and an inspiring visual and musical presentation to begin to open our hearts and bodies to the creative imagination from the soul of the world. During this Introduction, participants will set their intentions for the journey. Day Eight: Clio and Spa History and Culture, including Ancient Healing Temple Sanctuaries and their contemporary expressions in the Crop Circles considered to be ‘temporary temples’ aligned with the sacred landscape of Britain and other countries. Day Nine: Integration of our experiences by outlining practical steps to manifest our vision when we return home. Veronica Goodchild will lead the group and be present throughout the intensive. Daily Workshop Presenters in addition to Veronica will include other experts in the field, to be confirmed. This offering is based on Veronica’s new book. She will present an overview of the themes of her book, outlining the signatures of a new worldview. This new story focuses on the emergence of the subtle and imaginal realms coming back into prominence as spirit and matter reach out to each other to heal the fractures of a split that has led to a devaluation of the feminine, the repression of the shadow, and the degradation of our Earth. Beginning with synchronicity and the psyche-matter mysteries that lie at its heart, Veronica goes on to explore the collective synchronicities of UFO, Crop Circle, and Near-death Experiences. These signatures of a new worldview point to a psychophysical reality. They identify the resources of wisdom and the unfolding of an eros consciousness which arises with these extra-ordinary events. 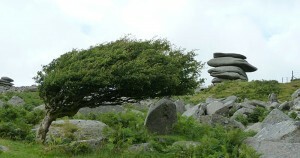 Such experiences balance our cultural focus on logos and symbolic thinking with direct experiences of an Other world. In her lecture, Veronica will include strategies for engagement with the subtle world, and offer exercises to experience its healing potential. In this lecture Robert Romanyshyn explores Mary Shelley’s novel, Frankenstein, or the Modern Prometheus, published in 1818 as a work of prophecy. As prophecy, Robert argues that if science and technology are the myths of our time, then Shelley’s story can be regarded as the archetypal pattern of those myths. Beginning with the subtitle, Robert looks back to the myth of Prometheus and shows how Victor Frankenstein is an embodiment of the titanic ambition to take over from the gods the power to create life. Then, examining the 15th century origins of modern science, he describes how Victor Frankenstein also incarnates the spectator mind, which from a distance behind a window regards the body as an anatomical specimen. Within this twin context of myth and history, Robert then explores eight specific ways in which Mary Shelley’s novel appears to foretell the contemporary world. 1. The struggle with and continuing control of the feminine! 2. The inflation of the spectator mind to titanic proportions, where we take on the role of the gods! 3. The flight from death! 4. The emphasis on efficiency, speed and scale as central values! 5. The eclipse of boundaries and the loss of place! 6. The creature as original cyborg! 7. The ecological crisis of the melting polar ice, the landscape where the novel ends! 8. Loneliness as a predominant mood of the technological world where we are increasingly more connected in digital space but increasingly more isolated from each other! At the close of the lecture Robert argues that approaching the issues of technology from the side of this story and its images helps us to take up the prophecy with conscious awareness in place of unconsciously acting it out. As such, we are better able to make use of technology in sustainable and thoughtful ways that recovers the values of a human world and restores our connections with each other and with nature. Alchemical Travel is about the journey to places of particular power where the landscape of the outer world mirrors, reflects, and resonates with the landscapes of the inner world. These journeys emphasize the embodiment of a relationship known in earlier times as the psyche-matter connection. In these travels ideas are grounded in images, reason is grounded in dream and reverie, and logic is grounded in the aesthetic imagination. The creative imagination is valued as the link between inner and outer worlds. The Travel Program of The Academy of Imaginal Studies is not about sightseeing or even primarily about exploring ancient myths, though no doubt both of these elements will be features of our journeys. The primary aim is to cultivate the creative imagination as a legitimate way of knowing that awakens our vision at this time of crisis and change on our Earth. Through dream work and active imagination techniques (such as art work, journaling, music, movement, and writing), at ancient sites where the veils are thin, we open ourselves not only to personal but also to cultural and cosmic dreaming. We discover how our own lives are interwoven with collective themes that seek transformation and healing. The travel programs enhance the courses of the Academy of Imaginal Studies, but can be undertaken separately. In this journey we will experience a contemporary healing spa based on the ancient model of psyche-soma wholeness. We will travel to Bad Orb, to the Toskana Spa and Therme, near Frankfurt, to renew our vision at this time of course correction on our planet, through practices that engage the creative imagination. This mineral springs spa, is situated in parkland and forest near to the place where the Brothers Grimm collected fairytales, an important source of patterns and images of the collective unconscious from the point of view of Jungian depth psychology. Besides daily group sessions and spa bathing (including floating in the world-famous Liquid Sound Temple—a spectacular circular pool flooded with sound and light over and under the water), participants will be able to explore the charming and historic areas around Bad Orb. Naturally, there is a wealth of spa treatment options available at Toskana as well as Aqua Wellness programs. This workshop aims to assist you in deepening your awareness of who you truly are, as citizens of both earth and cosmos. We will alternate the spa venue, from Germany and Italy, to France, Eastern Europe, and England, and to sacred mineral water places in the USA. Bad Sulza, Germany: 5 days. Bagno Vignoni, Val d’Orcia, Tuscany, Italy, the site of an ancient Roman spa. Thermae Bath Spa, Bath, UK. 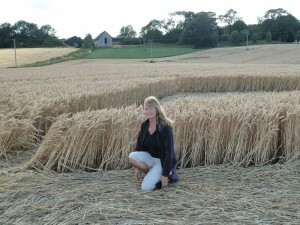 Crop Circles and the Sacred Landscape of Britain. We will visit crop circles and attend the now famous International Crop Circle Conference at Devizes, exploring the Crop Circles’ relationship to aspects of the Sacred Landscape of Britain. We will explore the mystery of crop circles from the perspective of the emerging psyche-matter myth and the features of a new worldview, and from the perspectives of beauty and sacred geometry. Visits will include the ancient stone circle at Avebury, West Kennet Long Barrow, and Glastonbury, one of the centers of the Grail Myth, which as a subtle landscape is considered the mystical city of Avalon of the Heart. 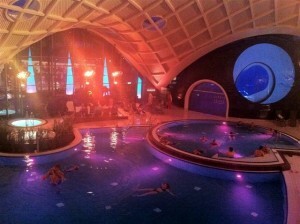 We will visit the Thermae Bath Spa, the famous springs which, since Roman times and before have made this town so famous. Visits to other stone monuments and circles may be included, as well as the large chalk-outlined hill figure known as the Cerne Giant, near Cerne Abbas in Dorset. These visits will focus on the landscape’s relationship to shamanism, the earth, the subtle realms, and the cosmos, and as sacred venues where the veils are thin and we can enter alternate worlds for healing and renewal for both our planet and ourselves. These inner journeys in the outer world can be taken alone or in tandem with other alchemical journeys. For example, every effort will be made to arrange the European spa experience just before the Crop Circle conference, usually held during the last weekend of July. First we will travel to Athens and explore the Healing Sanctuary beneath the Acropolis. We will go to the famous oracular center at Delphi and then to Epidaurus, one of the most celebrated Temple Sanctuary and Dream Incubation sites in the ancient world. After traveling by overnight ferry to Crete, in addition to the famous Knossos complex, we will visit the 6,000 year-old remains of Lissos, an ancient and unspoiled venue on the coast of southern Crete, that still has patterned mosaics on the floor of its temple remains, designs that are reflected in some contemporary crop circle designs. One of these patterns is the ‘Flower of Life’ whose origins go back to Egypt and is thought to contain the secrets of the cosmos.